Tom Oliver is a fresh new British brand in premium food supplements. Their product range brings fresh, innovative, natural raw materials together to benefit overall health and specific conditions. No irradiation. No synthetic enhances or preservatives. No complicated formulations. All naturally derived. 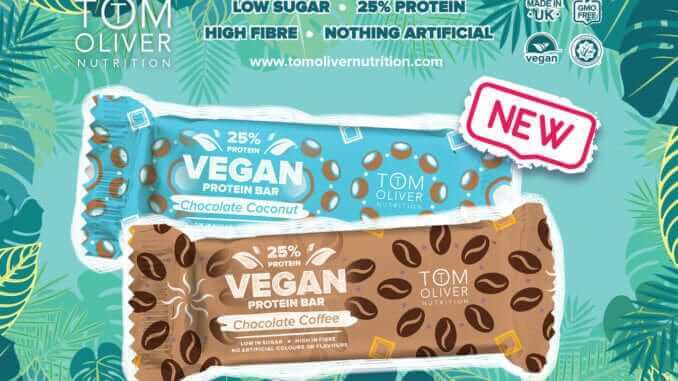 Tom Oliver produces protein bars, protein powders, omega 3 supplements and diet powders. Their protein bars are available in India, China, Qatar, Saudi Arabia, UAE, Singapore and Europe. With key retailers like Holland and Barrett, Waitrose, Carrefour, Spar, Nahdi, Spinney’s all stocking their vegan bar range, which are low in sugar and calories.